Call (833) ProNova / (833) 776-6682 for a confidential valuation/consultation or to get the process started via email contact the CEO directly at rick@pronovapartners.com! 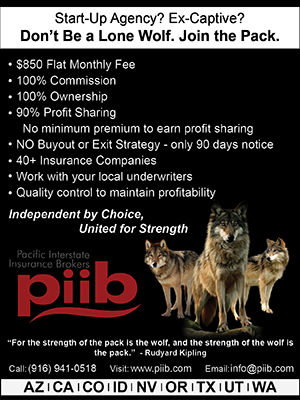 Since January 2010 we have facilitated over 90+ separate insurance agency sales. ProNova Partners is fondly referred to as Ace Business Brokers 2.0 as of 'Q1 2018! We are an insurance agency & book of business M&A specialists that have a hyper-focus on insurance agency divestitures. We provide expertise and proactive hand holding throughout the entire sales process to all of our Sellers. From initial consultation and professional business valuation to the close of escrow, you will deal with the CEO of ProNova Partners for the initial valuation and inbound consultation. You will then be paired up with one of our M&A Advisors that has the exposure and skillset to best present your Agency or book of business to the marketplace. New engagements are exposed to our database of over 15,000+ existing insurance agency owners, private parties, and private equity groups all stratified by geography. We also pay substantial upgrade costs across all of our business for sale marketing channels so your agency will be seen up above all of the other riff-raff that is on the marketplace being advertised by rival firms. (833) ProNova / (833) 776-6682 or email the CEO directly at rick@pronovapartners.com to get started today! California Department of Real Estate License #01820673. We are success fee only, and often secure substantial premiums over "market rate" for the agencies that we work on. So, pay us our Double Lehman fee and collect 20-50-100%+ over a DIY Approach. Often times our transactions are sold within hours of the initial engagement hire to some of our repeat Buyers that we send a simple text message to that are willing to pay obscene multiples for our best agencies and book of business targets. Contact us today to get the process started! Entire agencies, "carve outs" of existing agencies, book of business divestitures, it runs the gamut! Life insurance and financial planning practice sales. Wholesale/MGA book of business sales. Buy-side advertising campaigns available upon request.